This trick is not rubbish! 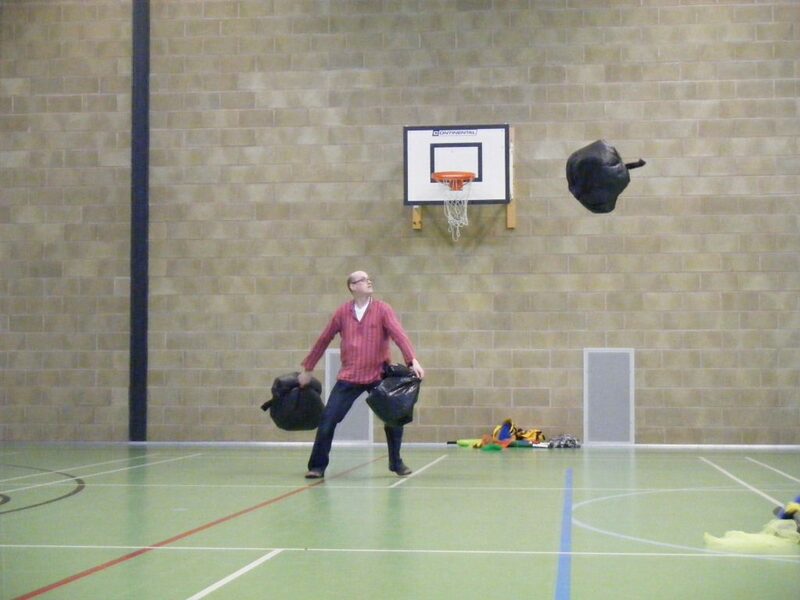 Binbags (also known as Garbage/Trash Bags or Refuse Sacks) are a perfect hybrid of Scarf Juggling (they are quite slow in the air) Ball Juggling (they are shaped like a ball), plus when full of air, they take up a lot of space, so this could be the big finish to the show you are thinking of putting together! Solo – Hold a bag open as wide as possible, and spin in a circle. Once it is full of air, tie it off quickly, and repeat for the other 2 bags. Make this a whole routine in itself. Pick 3 members of the Audience to spin round and fill the Bags (lots of comedy potential)! PRACTICE NOTE: You only have around 60-90secs for your entire routine once the 3rd bag has been tied. The air will begin escaping, and the bags will get flatter over time. Make as wide a cascade pattern as possible, so you have to race around the stage to make the next catch! Catch on back of head. Bow forward, with arms raised (to create a little pocket on the back of your neck for the binbag to sit on). Catch the tied handle in your mouth, then catch the other 2 binbags, and spin around with your arms stretched out! 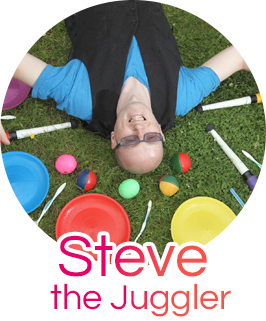 “Ladies and Gents, I am not the worst juggler in the world, I have not just been given the sack 3 times”.